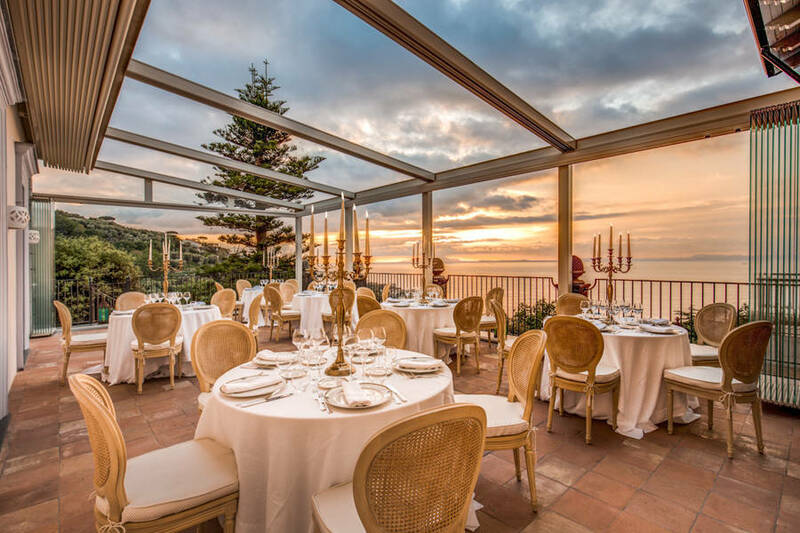 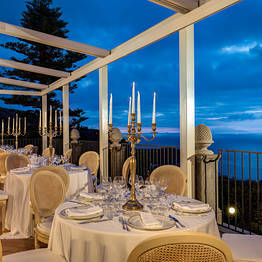 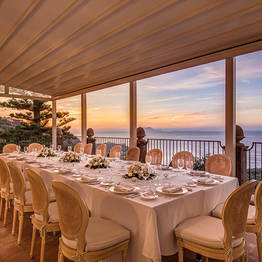 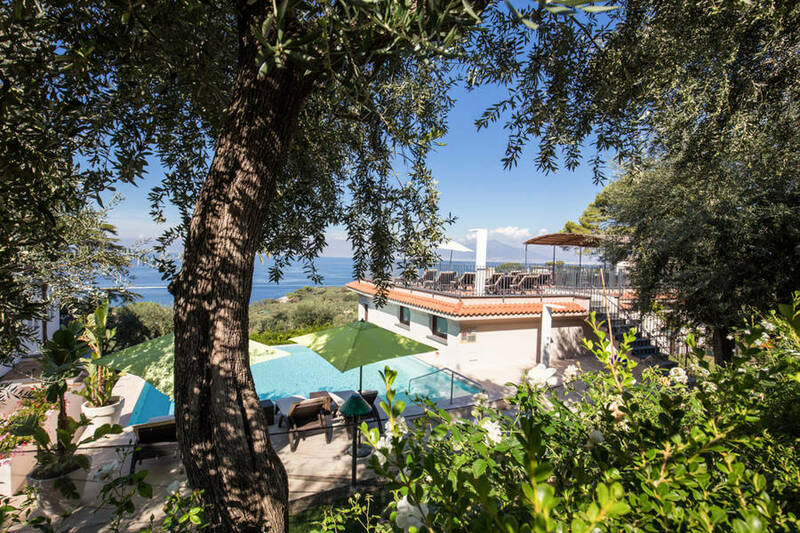 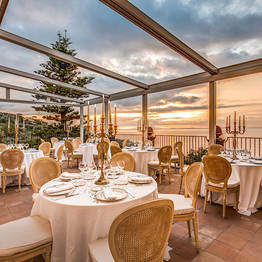 With its sweeping view over the Bay of Naples, Mount Vesuvius and the islands of Ischia and Procida, the elegant 19th century residence Villa Sabrina Relais boasts one of the most spectacular views of Italy's Sorrentine peninsula coast. 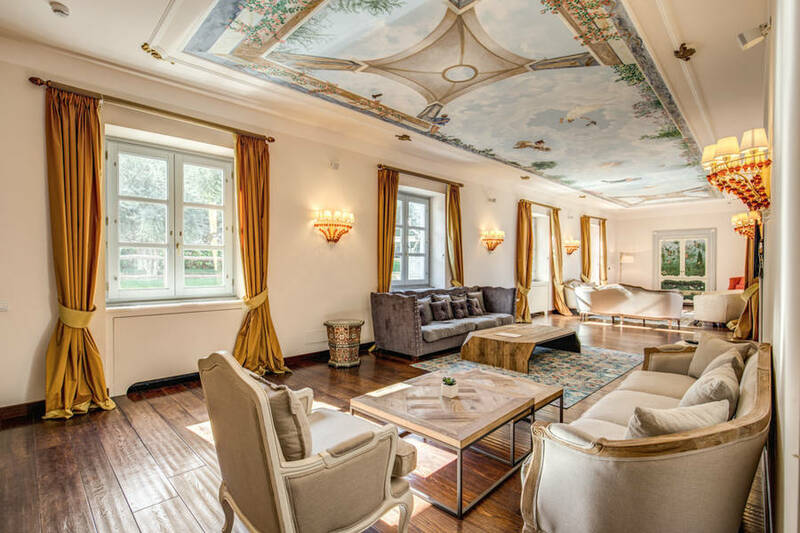 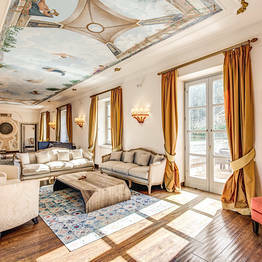 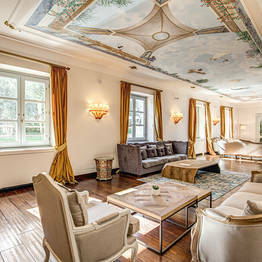 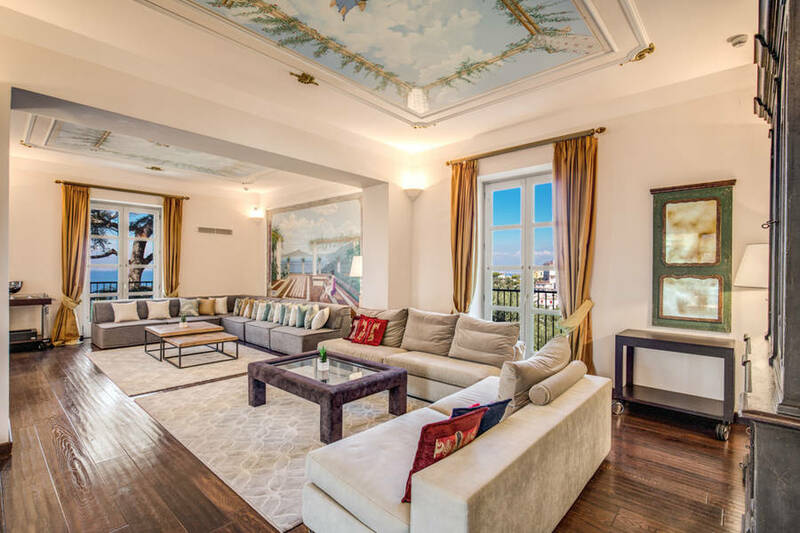 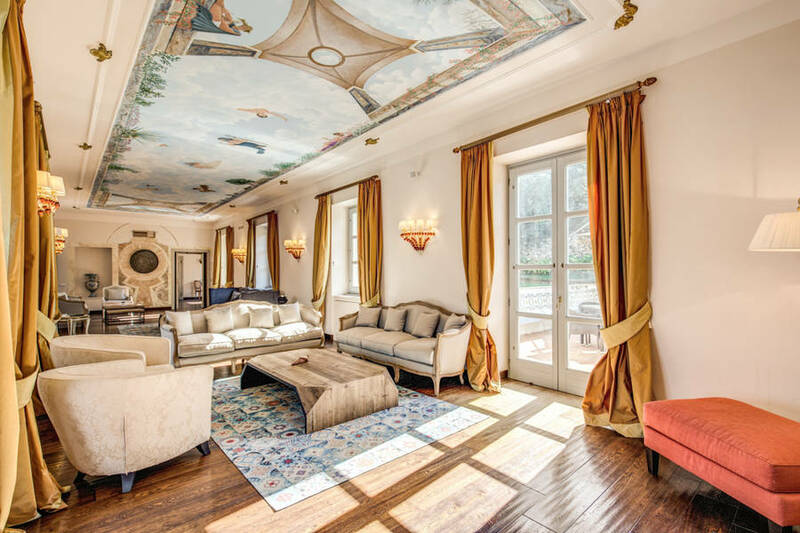 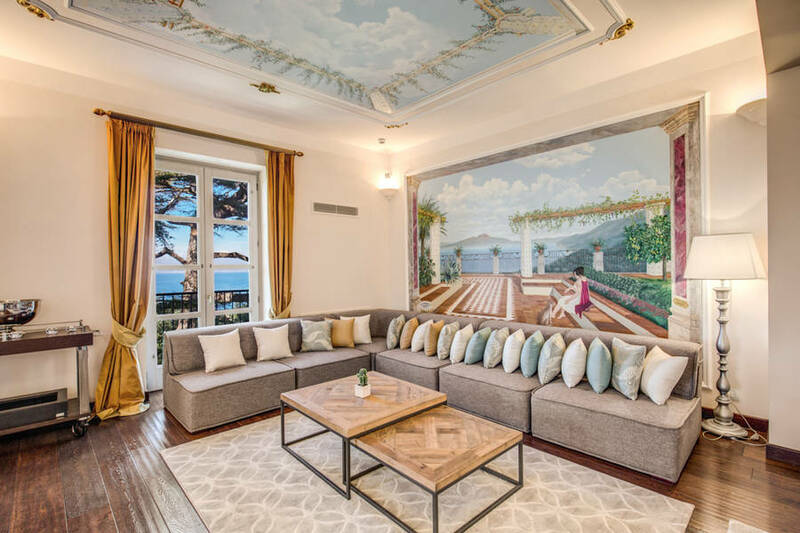 The nine uinque suites in Villa Sabrina all feature the exposed beam ceilings, decorated with lovely floral patterns; the breathtaking "Ulysses" and "Penelope" suites will dazzle you with their sumptuous ceilings depicting scenes of Ulysses' epic voyage along the Sorrentine peninsula. 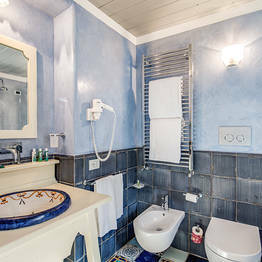 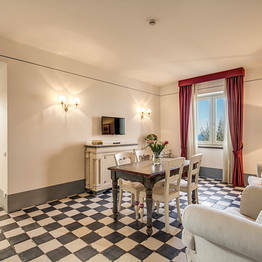 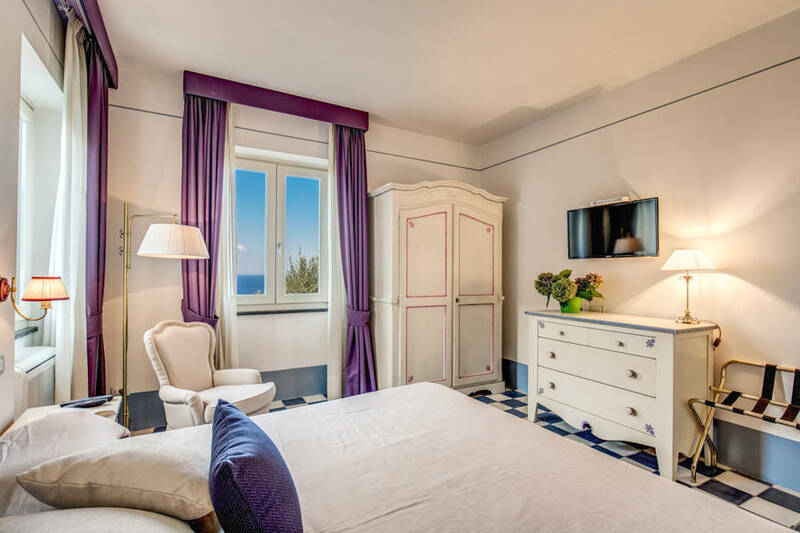 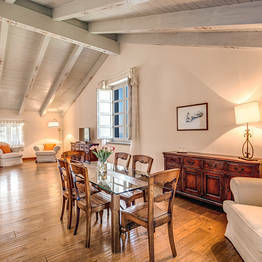 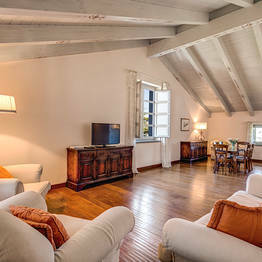 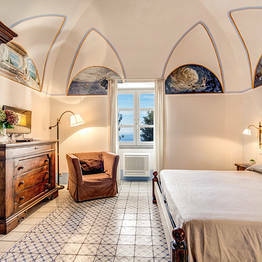 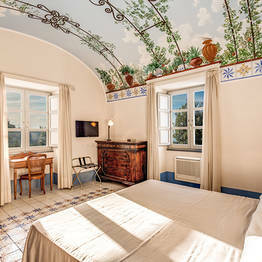 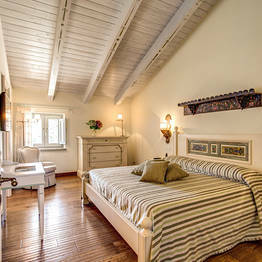 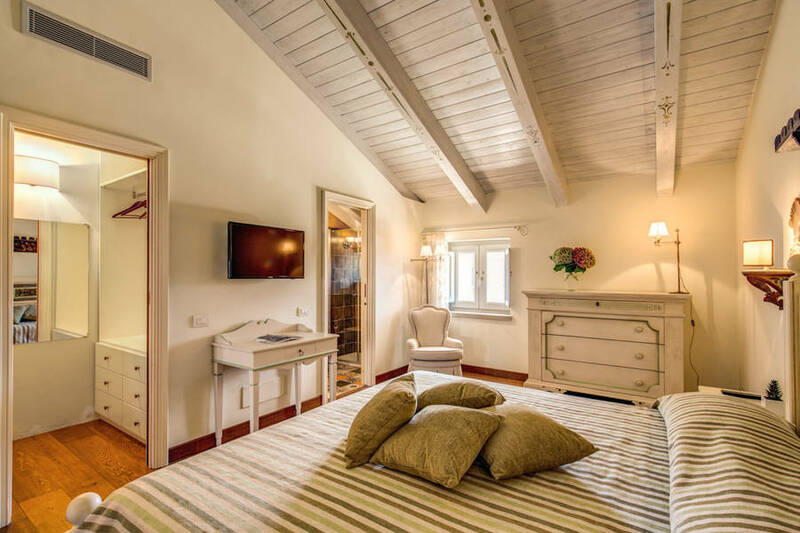 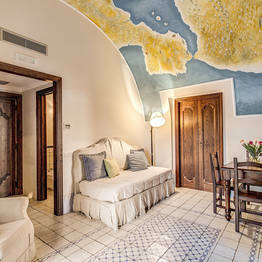 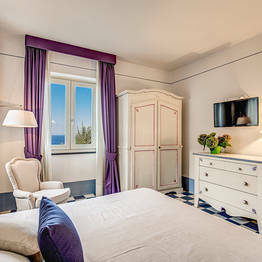 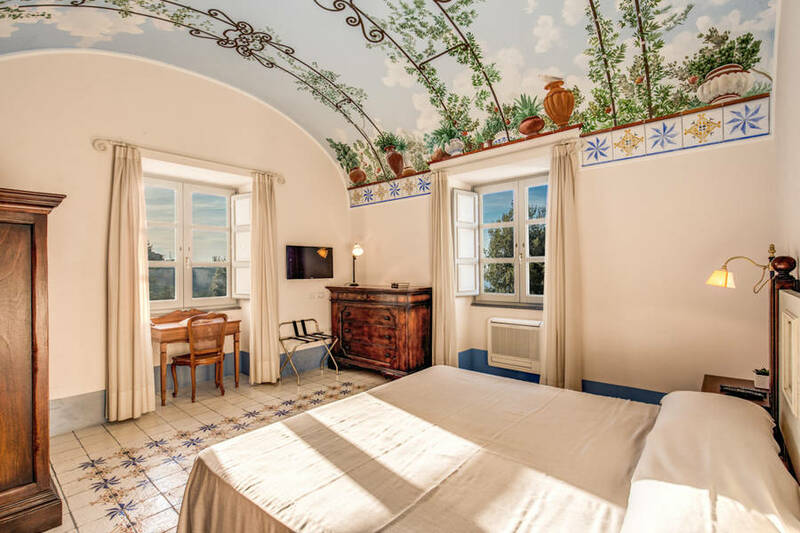 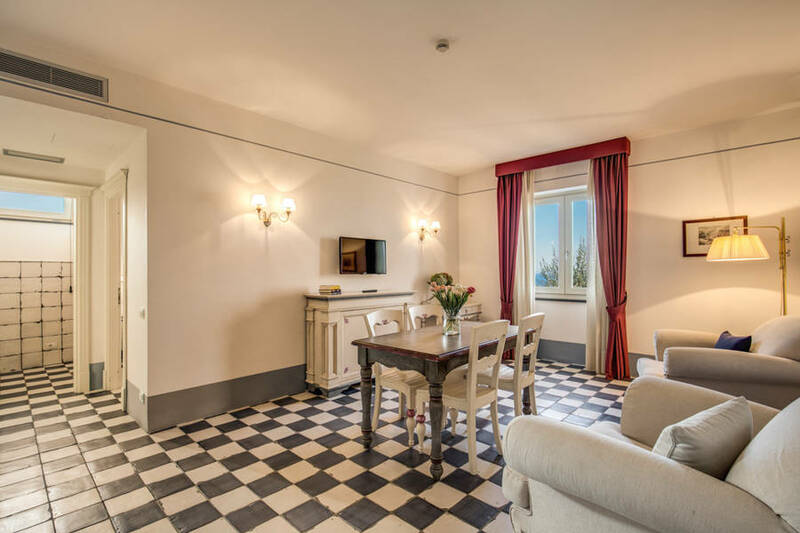 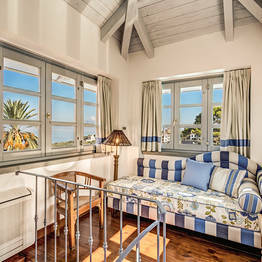 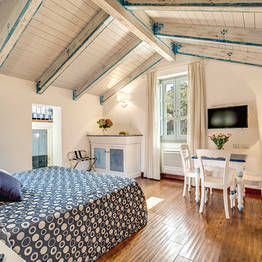 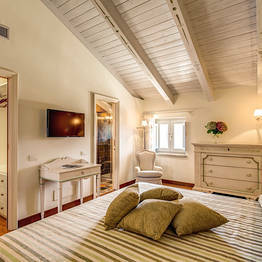 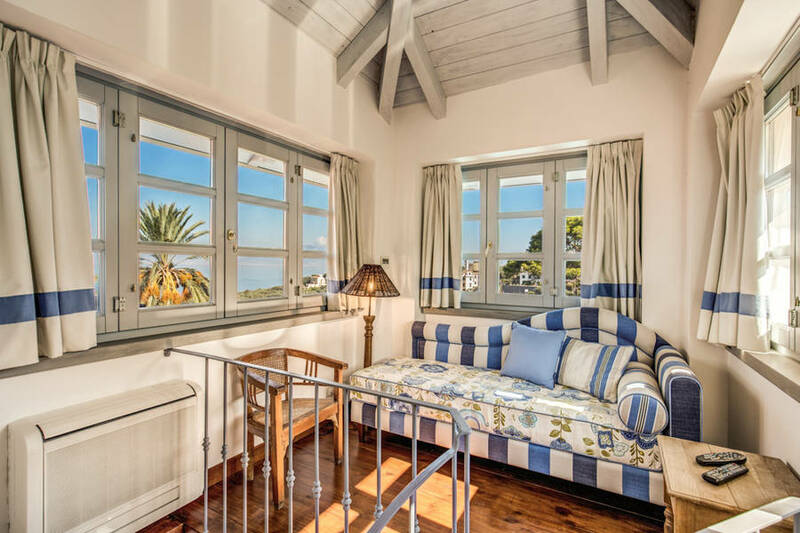 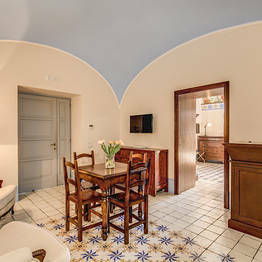 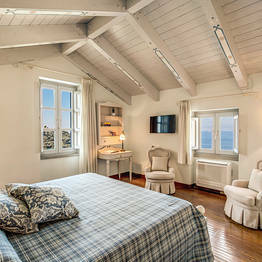 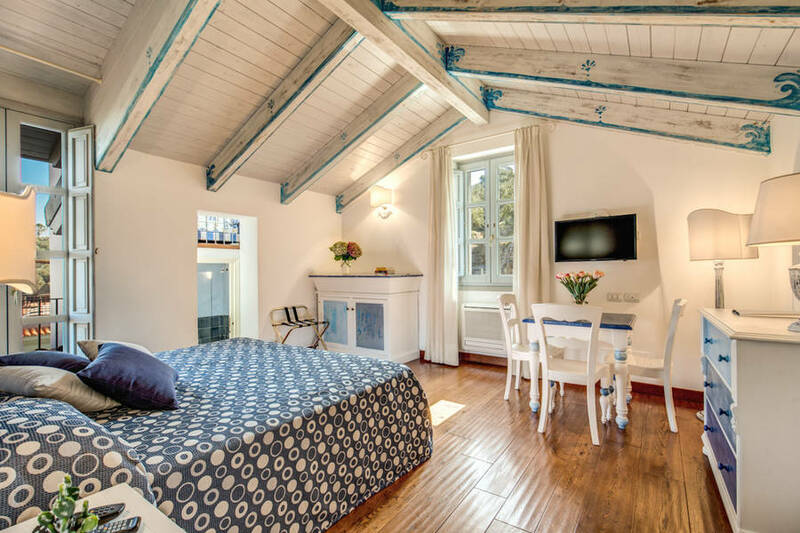 Rooms look over the villa's blooming Mediterranean garden, and let in the warm Mediterranean breeze off Sorrento's coast. 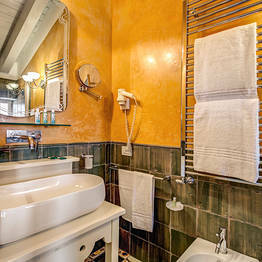 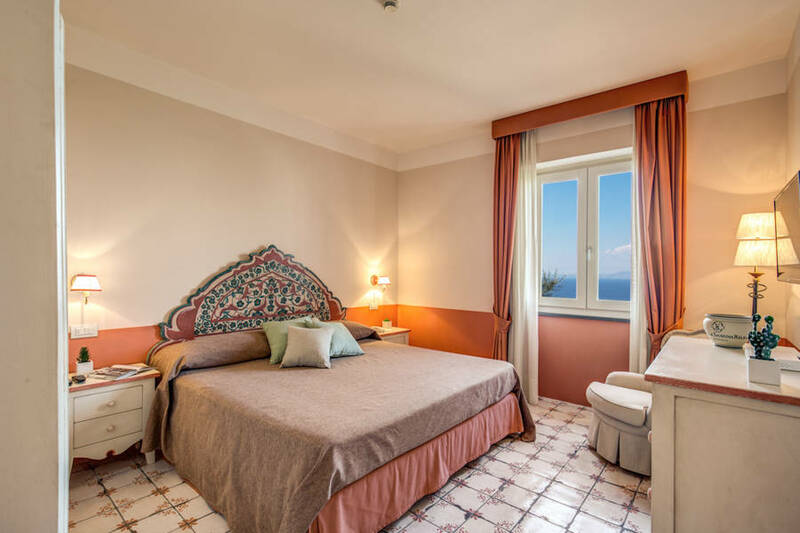 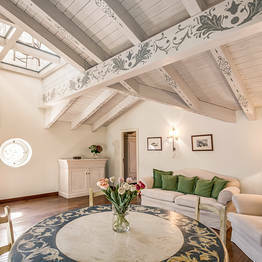 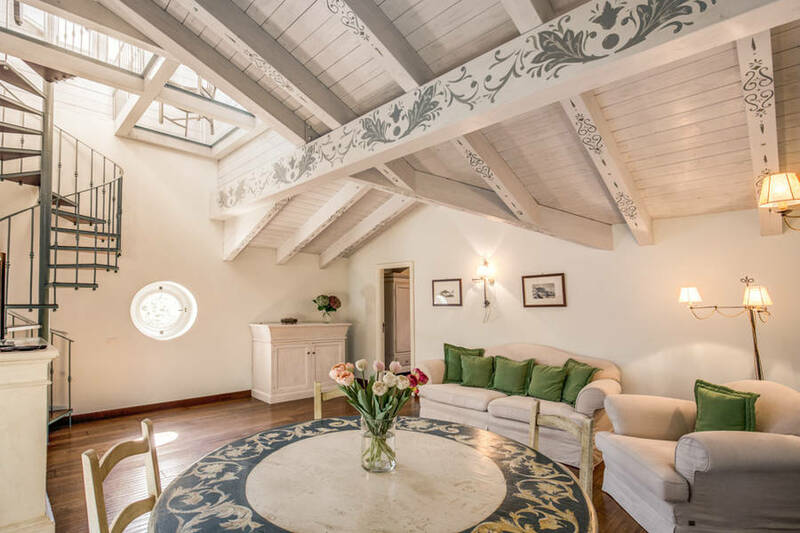 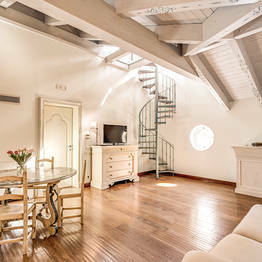 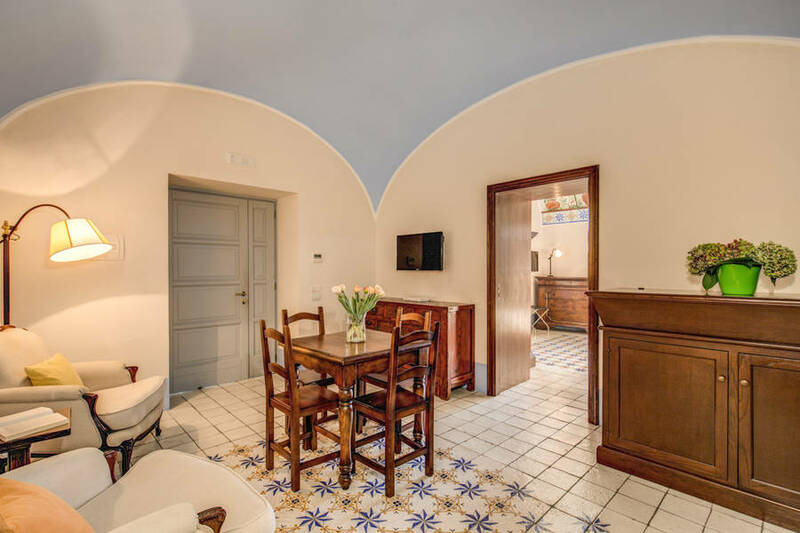 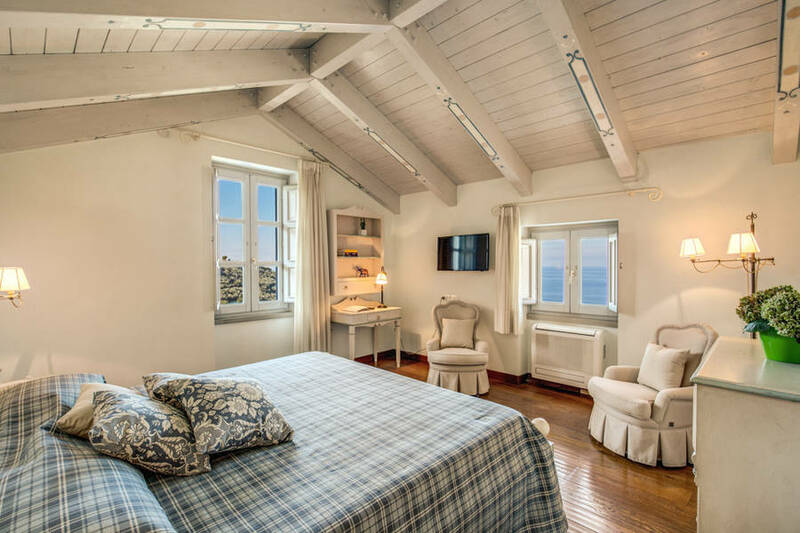 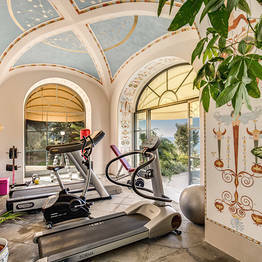 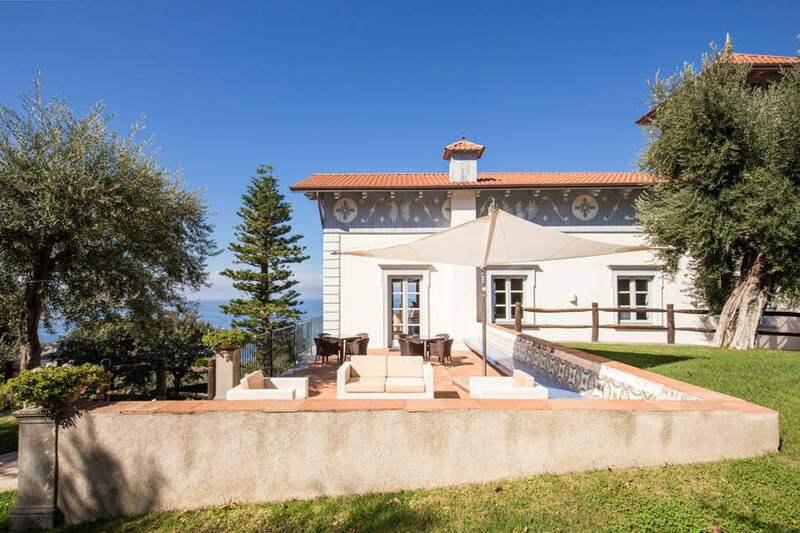 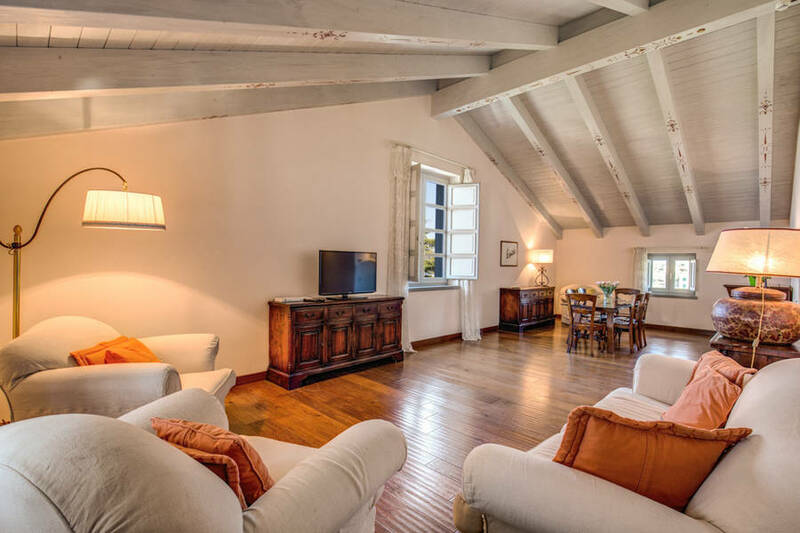 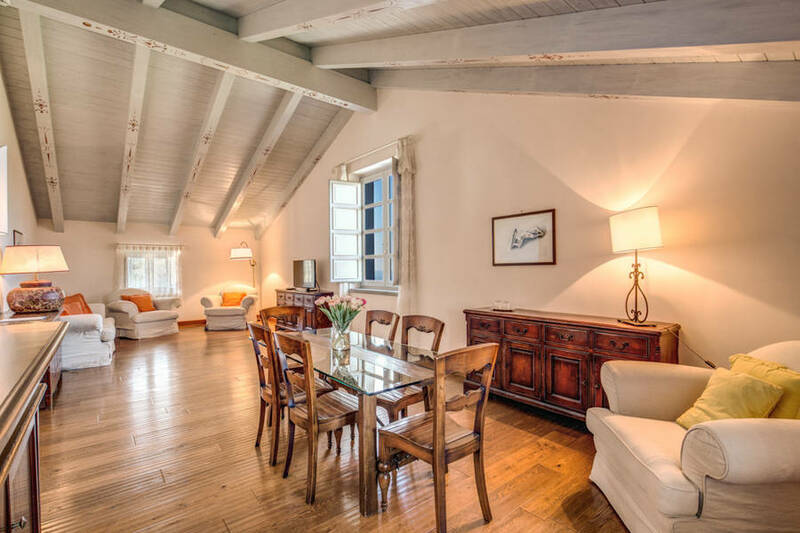 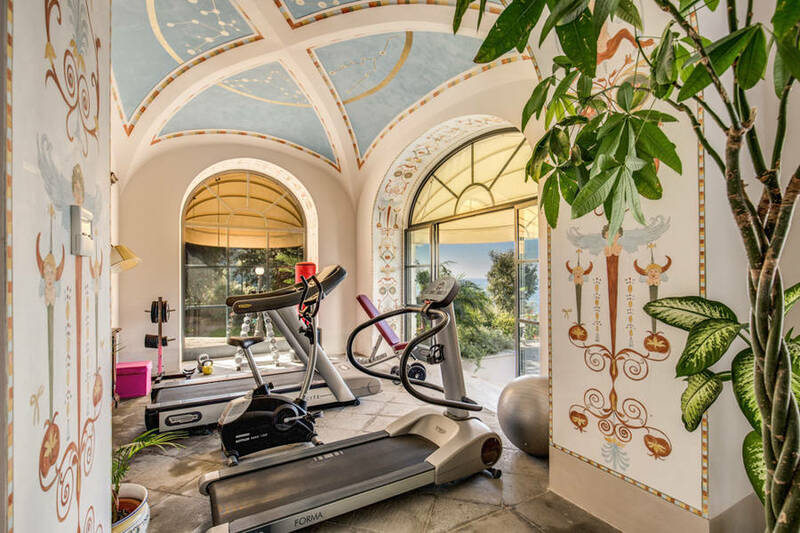 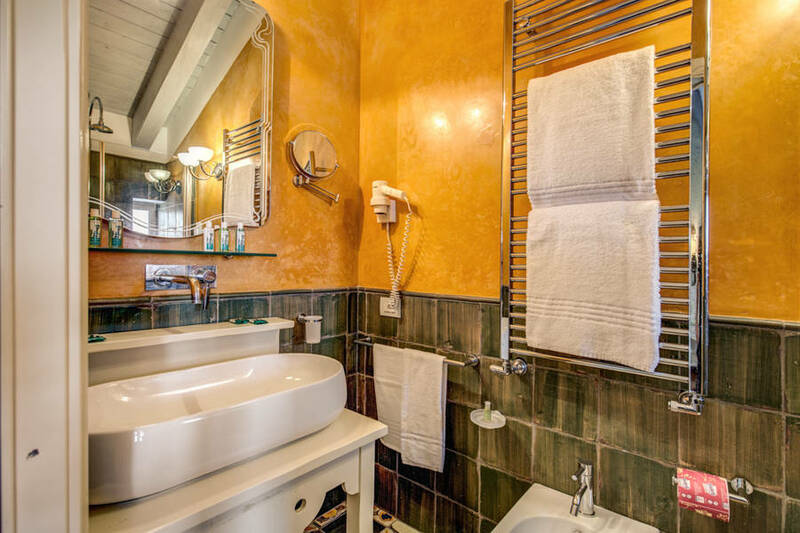 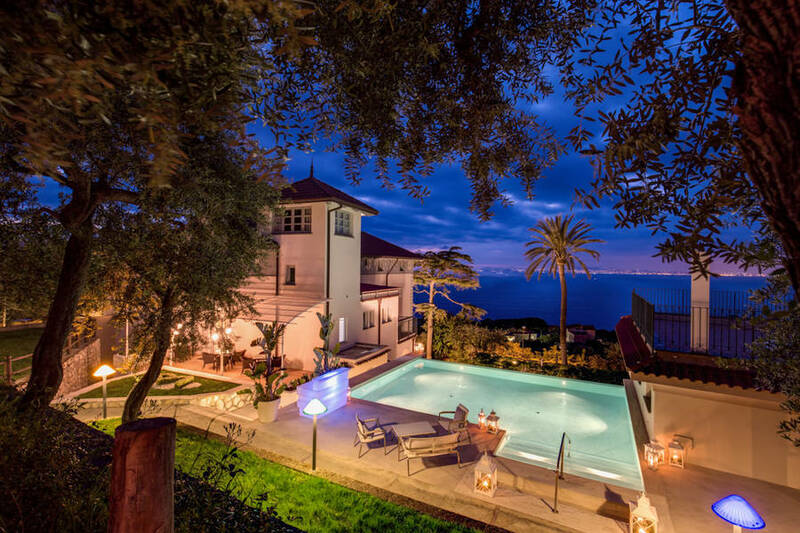 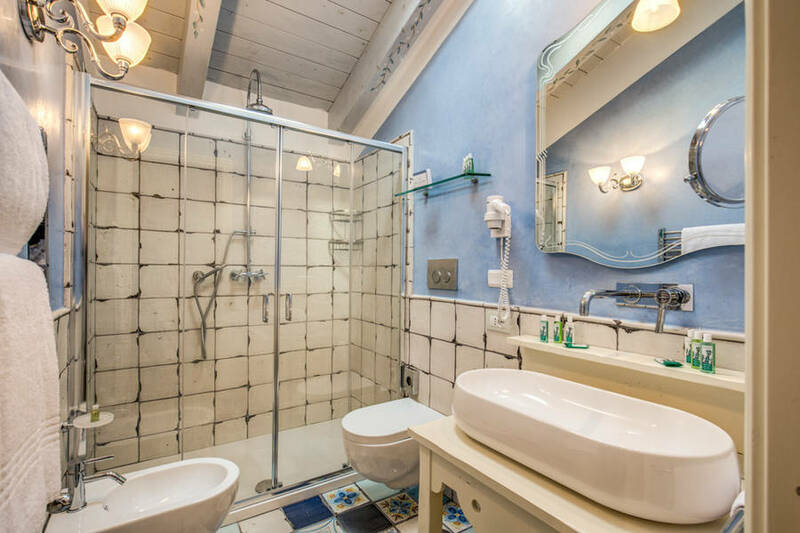 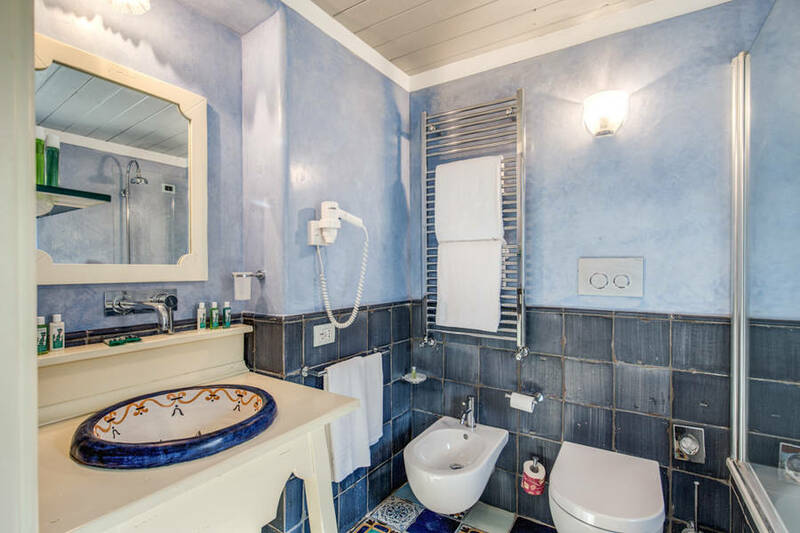 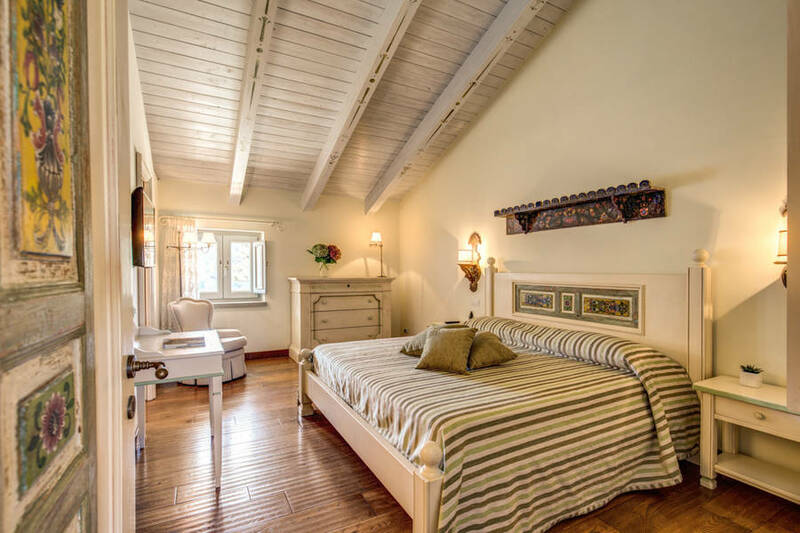 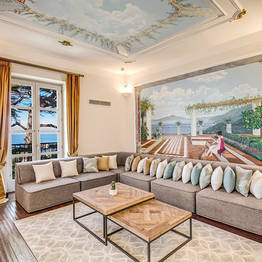 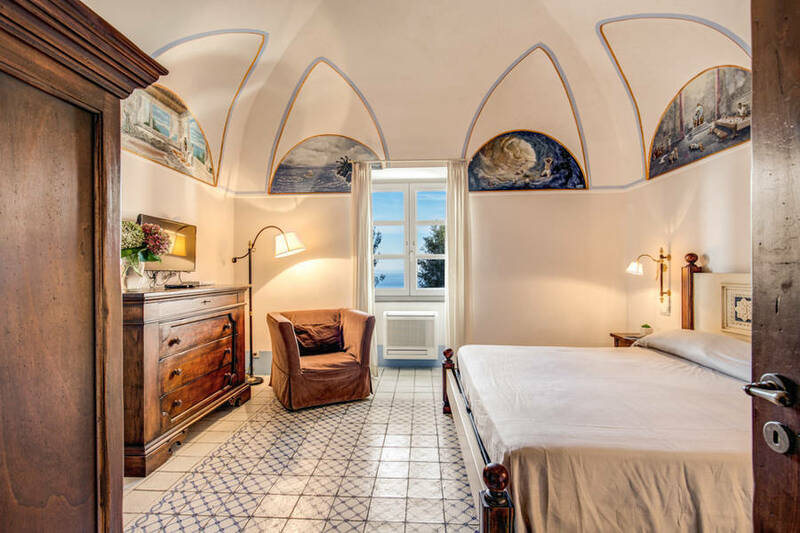 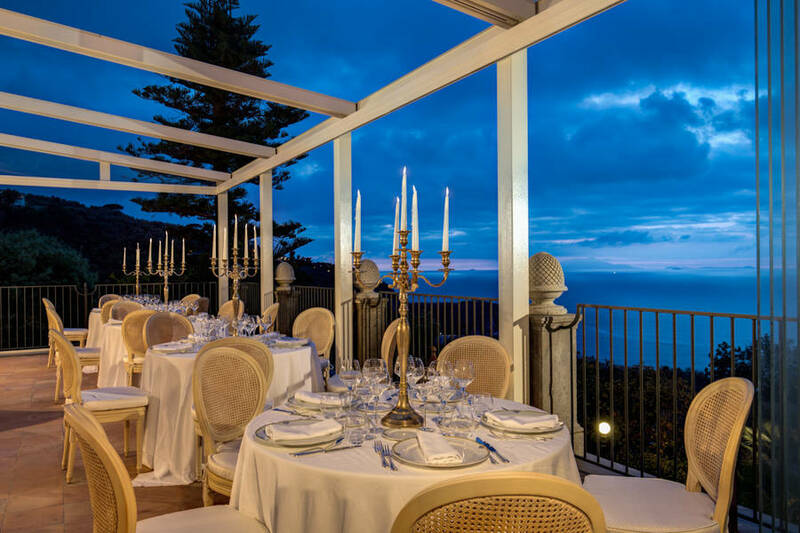 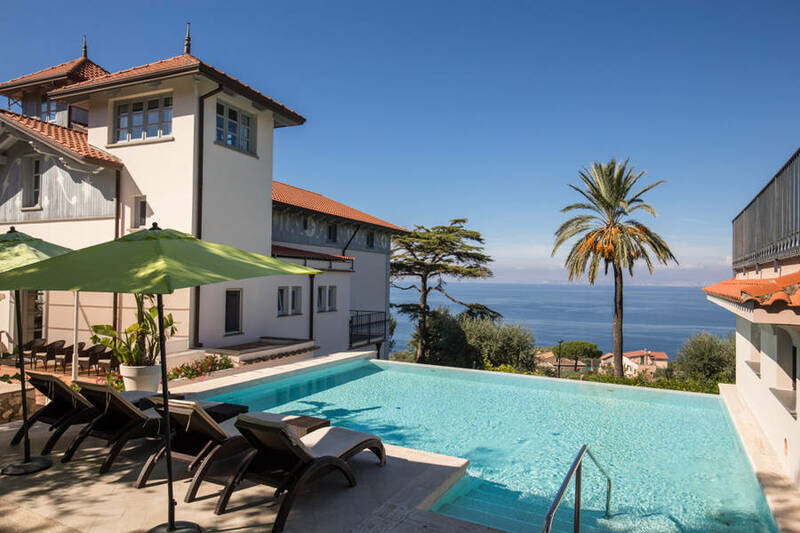 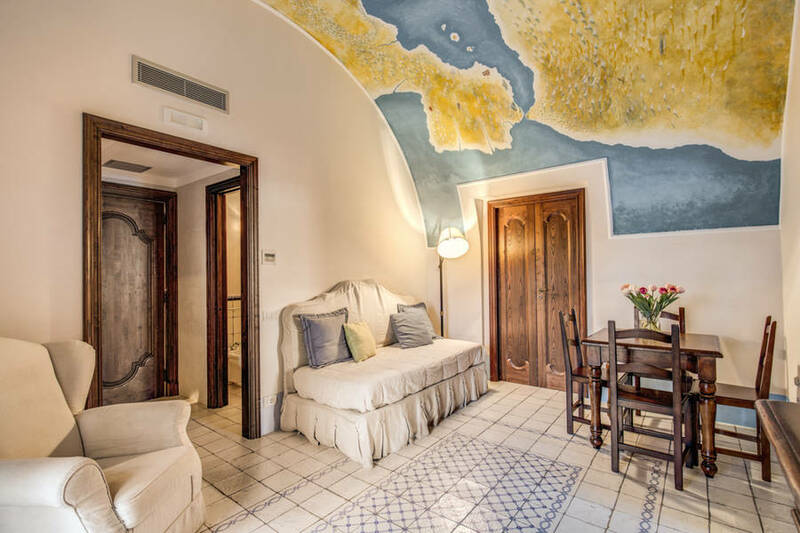 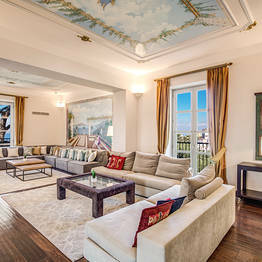 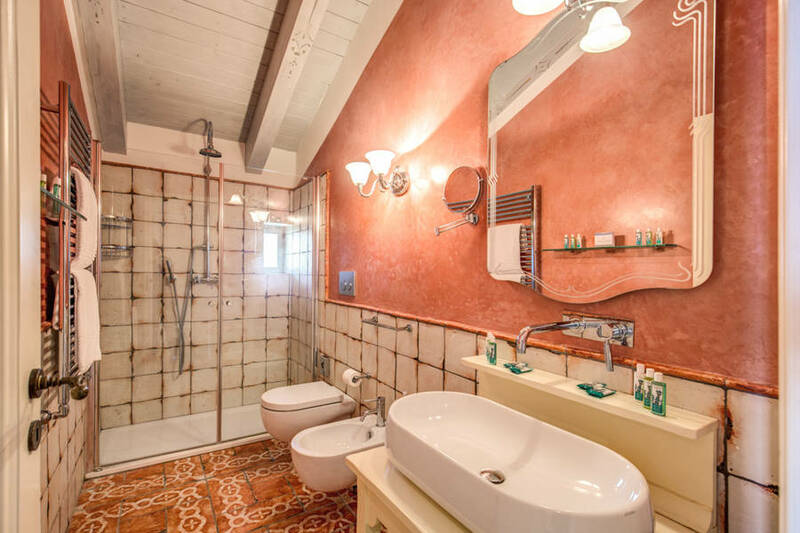 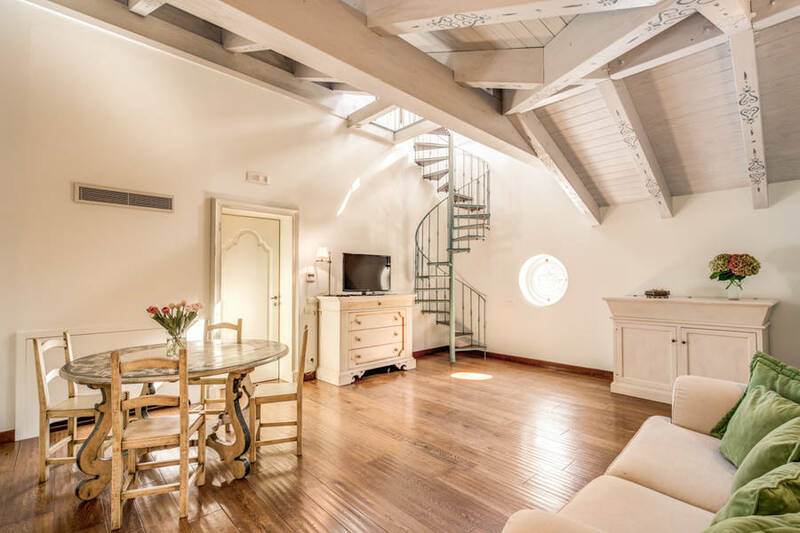 Savor the beauty of Sorrento's coast in pure luxury and privacy: Villa Sabrina can only be booked in its entirety for your exclusive use for short or long stays, and the 9 suites can sleep upt to 28 guests! 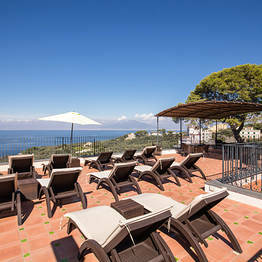 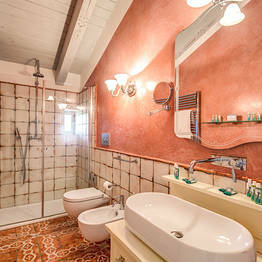 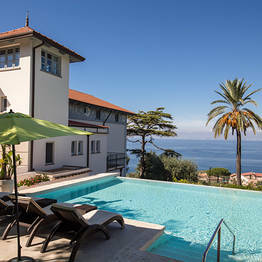 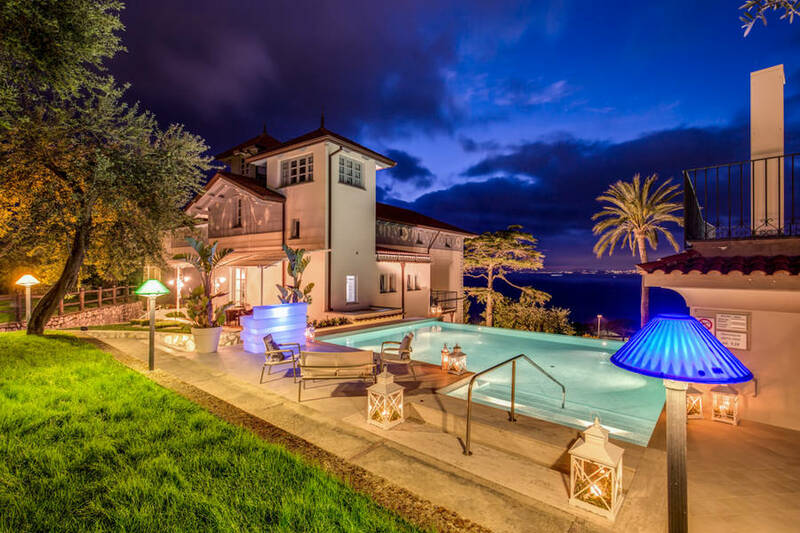 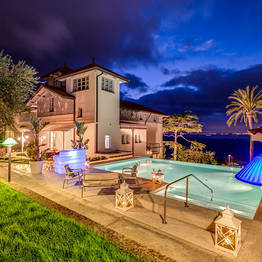 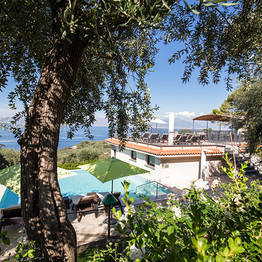 Guests love to relax in the gardens overlooking the sea, or in Villa Sabrina's heated pool with massage jets. 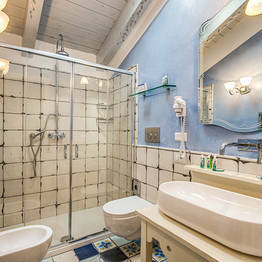 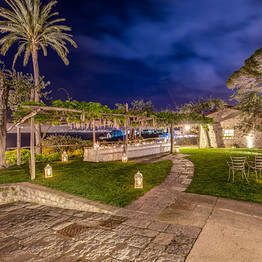 After a good soak, you can settle in on the villa's terrace overlooking the sea and have a romantic candlelit dinner prepared by a private chef. 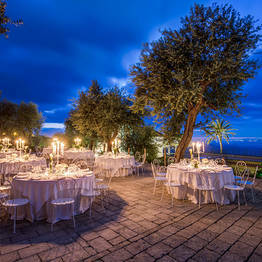 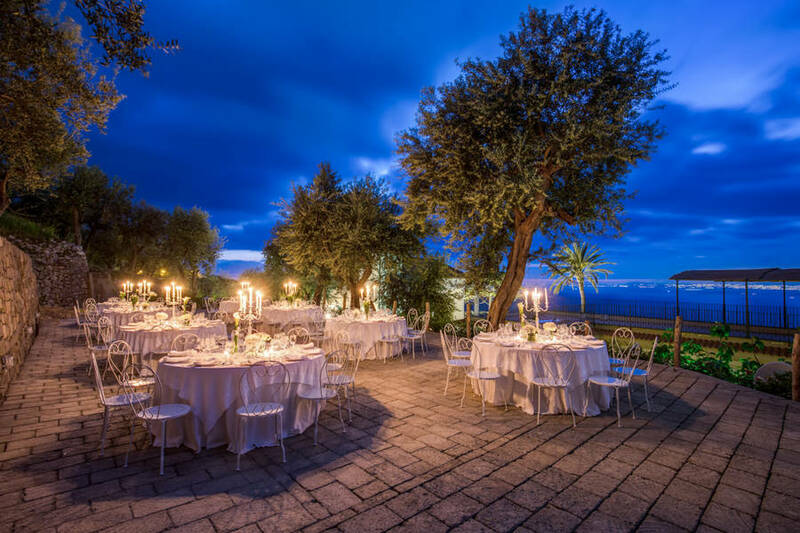 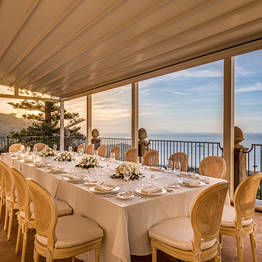 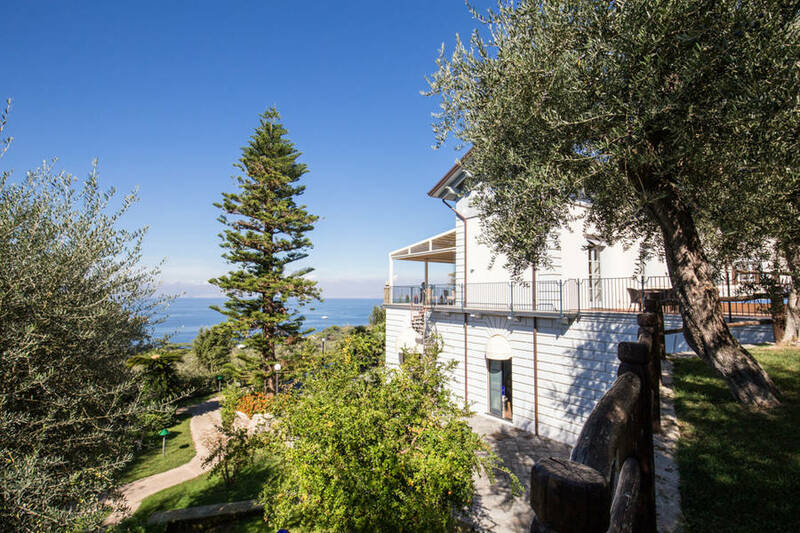 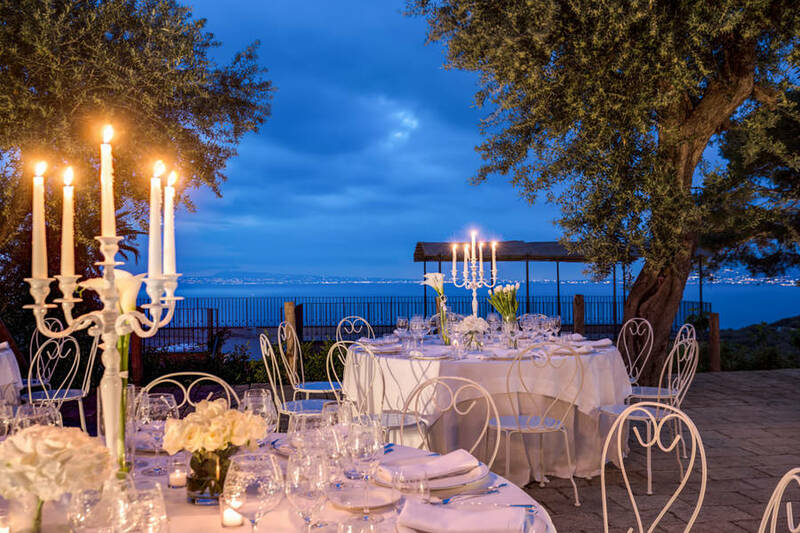 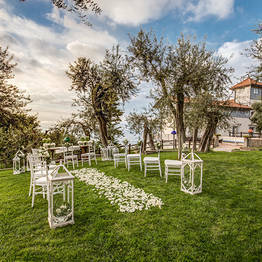 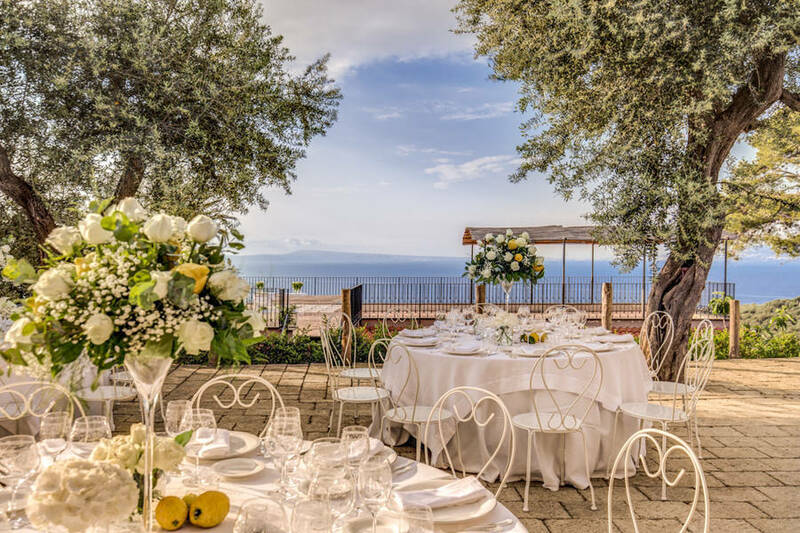 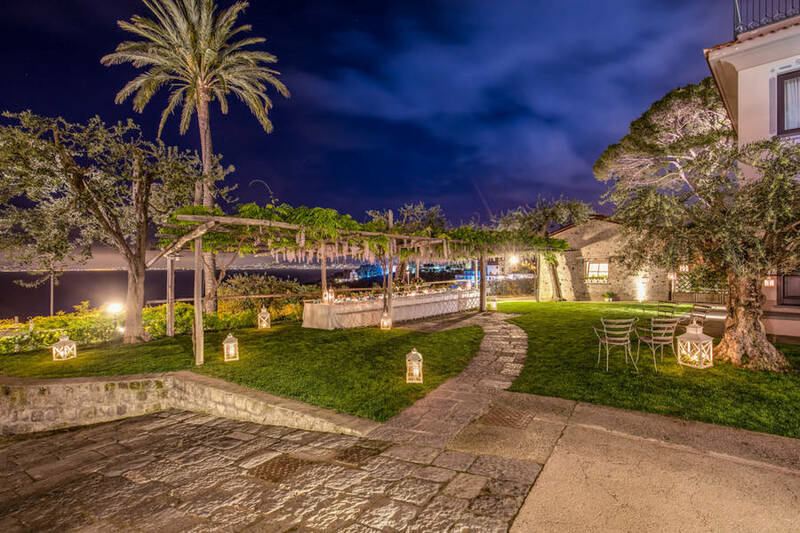 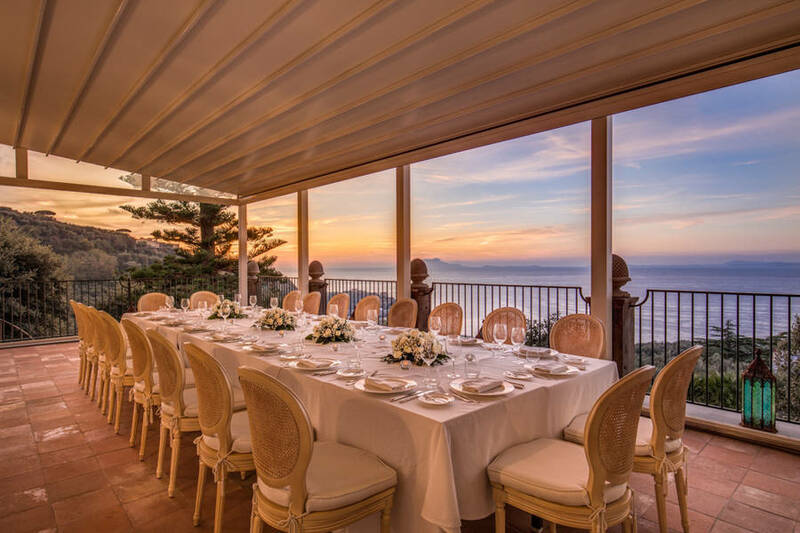 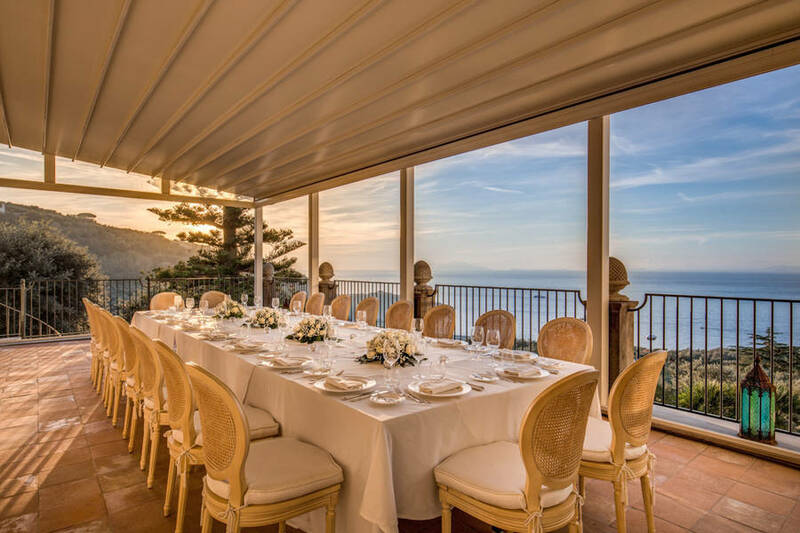 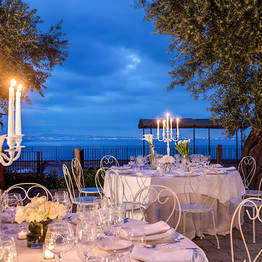 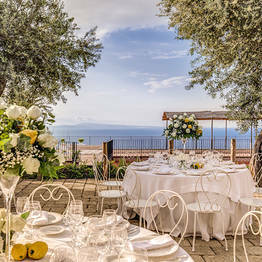 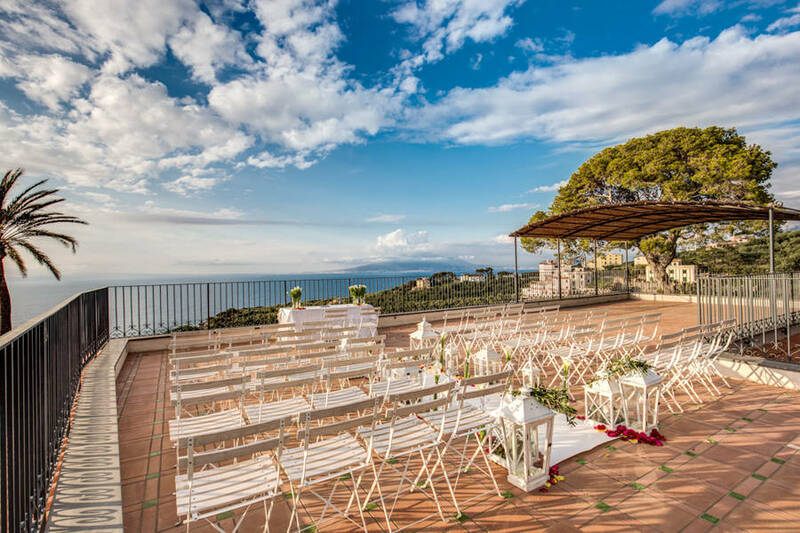 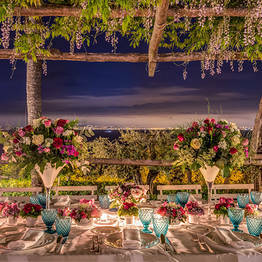 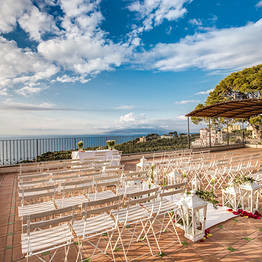 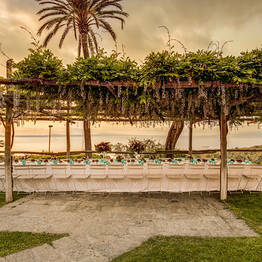 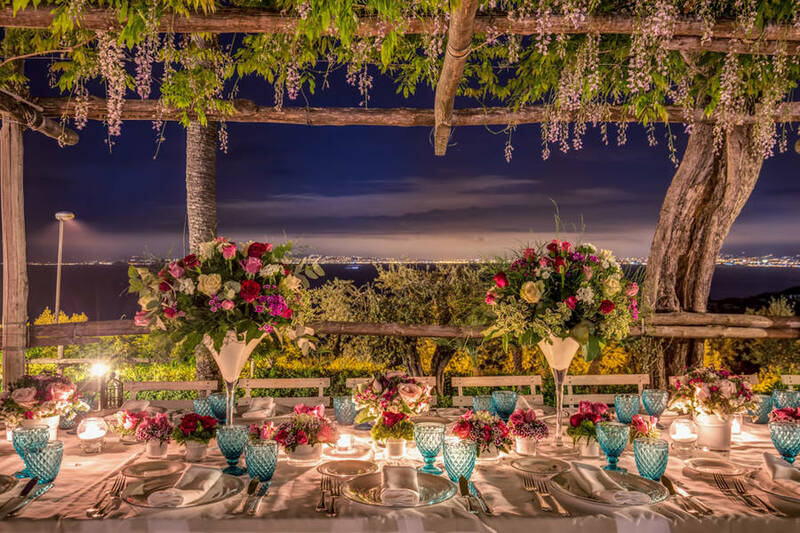 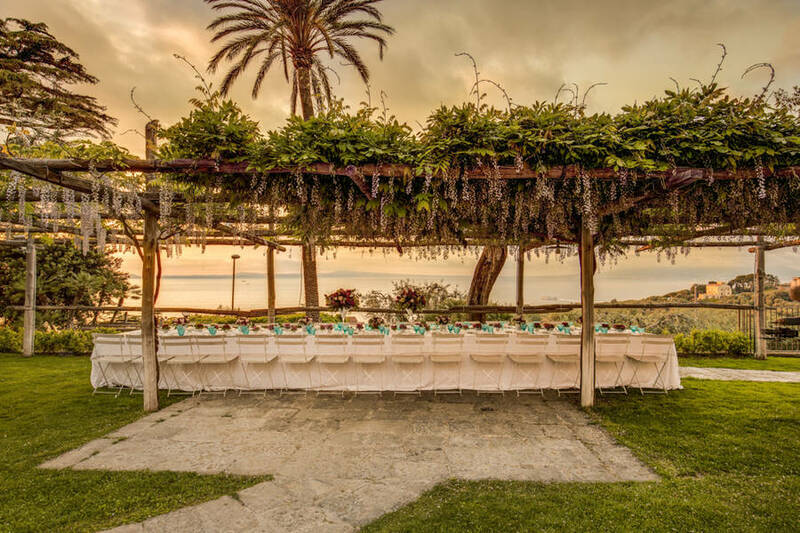 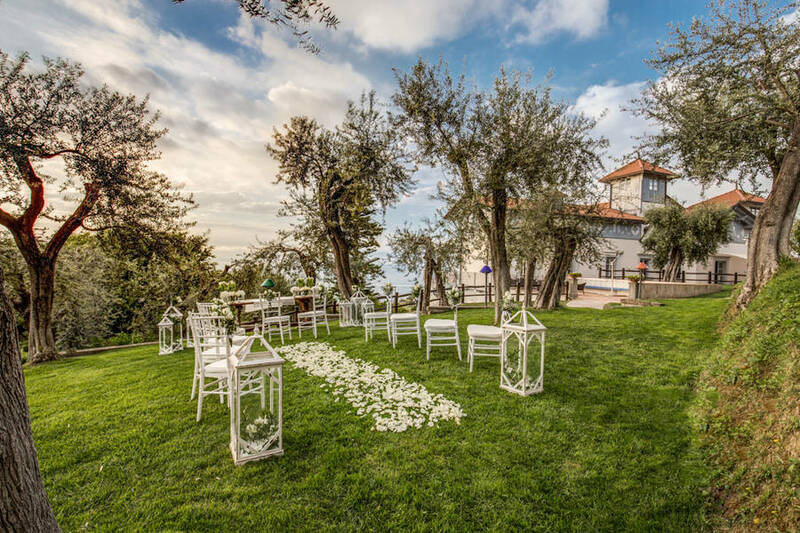 Villa Sabrina is the ideal venue for weddings and receptions for up to 150 guests, with the lush private garden, elegant frescoed hall, and beautiful views over the Mediterranean Sea and Mount Vesuvius. 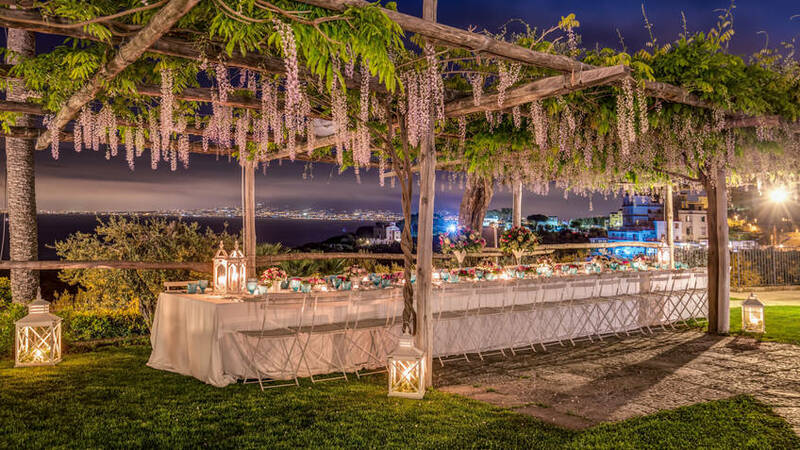 Any celebration here is guaranteed to be magical! 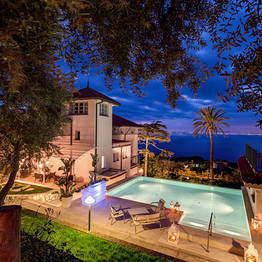 Photos shown here don't do this beautiful place justice!